AFTER a planned deal to re-acquire Denok Miranda was aborted at the last minute, San Miguel Beer went to Plan B and took back point guard Alex Cabagnot from GlobalPort in exchange for Sol Mercado and two future second-round picks in the 2018 and 2019 PBA rookie draft. Commissioner Chito Salud had already approved the return of Miranda to San Miguel in a straight swap for Mercado when the Beermen and Barako Bull pulled out the trade proposal just 10 minutes before the 12 noon trade deadline when a second wave of transactions, which sources said involved Dorian Pena and Justin Chua among others, was nixed by Salud who deemed the trade 'unfair. “Hindi kasi nakita na patas ni Com (Salud) kaya dinisapprove niya yung second batch ng trade proposal,” said PBA media bureau chief Willie Marcial. Instead of reworking the trade with Barako Bull, San Miguel turned to GlobalPort and moved to re-acquire Cabagnot, who was sent by the Petron/ San Miguel franchise to the Batang Pier as part of a complex four-team, seven-player trade just last February. 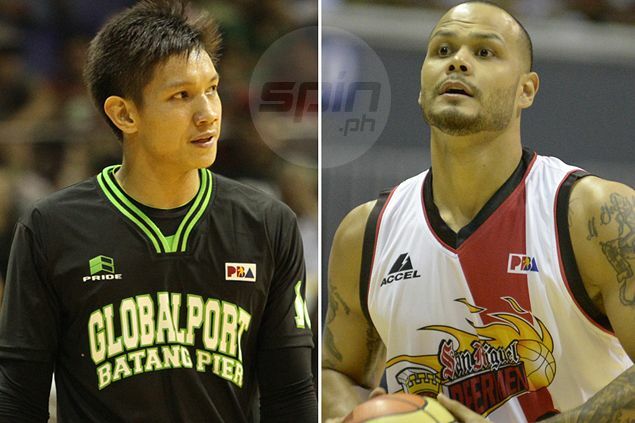 The move to GlobalPort is also a homecoming for Mercado. The Cabagnot-Mercado trade has actually been under negotiations for almost three months now, which Spin.ph first revealed last September 23. “Yan din yung dati na sinulat niyo eh. Na-delay lang, pero tinuloy pa rin,” said the source from San Miguel. “Actually, okay na yung Miranda eh. Nasabihan na 'yun. Kaso biglang nagbago ang isip ng mga bossing. Kaya ayan, binalik sa dating plano,” added the source. After the last-minute trading frenzy, Cabagnot will now be part of the semifinals campaign of San Miguel, while Mercado will be looking to help GlobalPort get past twice-to-beat Barangay Ginebra in the quarterfinals beginning on Thursday.